I’m a subscriber and better audio would be so awesome because I am a music lover but I just can’t stand listening from my current computer because it sounds so tin-ny and it’s just unbearable. I’d love to be able to listen from itunes! Better audio on my computer would improve the quality of text to speech devices I use with children who have Autism Spectrum Disorders that are unable to speak. The children with ASD who I work with need these text to speech devices/programs/apps to assist them with verbal communication. For some of these children, using a computerized devise is the only way they can make powerful choices and have their wants and needs known/met throughout the day. Better audio on my computer would mean giving a better, more realistic “voice” to these children. The sound is soooo low on my laptop.A better audio would really help the teens and me enjoy movies and music much better.We wouldn`t have to strain to hear better! 3. I have been listening to a Bose radio for so many years that I am unhappy with listening to anything else. If I was content with the audio on my PC I could watch movies and the SYFY channel (Warehouse 13) and other things that Verizon Fios just does not have in my service area. Dolby® stereo surround sound on a laptop is a dream that I thought never could come true. I would be a VERY HAPPY GRATEFUL woman. I would be a spokesperson for Lenovo. My kids listen to music all the time on the computer better audio would improve the sound. My speakers are lousy. I would love to have better audio on my computer so that I can listen to music. I edit music that I write through software on my laptop so this would greatly enhance my ability to fine tune everthing. While traveling, I watch movies on my laptop quite often! Dolby sound quality would greatly improve my viewing experience! I love music and love music combined with surfing even better, it blocks out all of the distractions and let’s me get what I need to do finished. Better audio would make the whole thing even more pleasant. Better audio would allow me to better enjoy watching movies and listening to music. Thank you for the entry! On days when I am working long hours on my computer it would be nice to have a better sound system to play my dowloaded music. Audio is integral to a good computer experience whether that experience is research or entertainment. I often find myself replaying a research project because of the audio limitations of my computer, not the video. So this would dramatically improve my online life! Thank you. I think it would be so great to listen to Pandora Radio and watch Netflix with the Dolby surround sound. Better audio on my PC would improve my life by allowing me to play my Christian music even louder so everyone in my house and my neighbors will know that I LOVE Jesus! better audio on my PC improve my life by being able to edit music mixes better, and being able to hear all the clear, crisp audio details ! PLEASE PICK ME I really need this PC !!! Ugh, I ordered a laptop online at a big box store, and when it got to me, the disc drive was open in the box & all sorts of things had been bounced around inside. My speakers make a noise even when I turn them off. The big box company are “working” with me on the issue, but not giving me a refund. Better audio would be great to watch movies and shows. I am a cpa and on my computer all day. Have some great music in the background while I work would be fantastic. Music always sounds better with a great set of speakers—haven’t found a great system yet. Better audio would make spending my free time watching movies on my computer actually fun instead of irritating. It would definitely make my music and movie watching experience better. my speakers for the PC are original equipment, so they are not so good. I’d love Dolby sound! Better audio would mean I could actually hear/understand what I am viewing. Great sound? YES! I spend TONS of time on my laptop and wish I could listen to quality music while working. Better audio on my laptop would help with watching the Live Criminal trials that I watch. Many times the audio is bad and my speakers don’t help much. Great Sound is an important part of life. Better audio on my laptop would give me an opportunity to listen to music and movies the way they are suppose to sound, not shallow and without impact. Sound is very important to me. I have all my daughter birthday parties on her and I always wanna her her. I’m enrolled in a Spanish course and I have to listen to audio samples and converse with other speakers. My audio isn’t the greatest. Having better audio would make it easier for me to comprehend what the other speaker is saying. Also, in my free time, I enjoy listening to music. So having a better audio system would be a real treat! Better audio would be the greatest! I have an older computer and the audio is not what it used to be, i video chat with my neices and nephews alot and it is sometimes hard what there saying because of the audio on my computer. I would be soo hapy to win this Lenovo Laptop so I can enjoy what my neice and nephews are saying. Better audio would make listening to my music a more enjoyable experience. I listen to music on my computer to de-stress but sometimes with the quality I get now it really doesn’t help and maybe even adds to the stress. I love to listen to music and my present laptop has horrid audio, would love to get a laptop with premuium audio! it would improve my work because i will be able to listen to my music! This would be great as my current computer is shot and I could listen to some music which I can’t now. I’m using a 7 year old computer with no speakers so a computer with ANY sound would be an improvement. 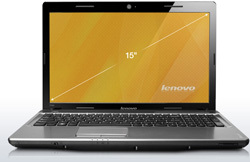 I’d be thrilled to win this Lenovo. listening to music and watching movies will be a lot better with great audio! As a recruiting and staffing professional, I try to keep my skills sharp by participating in many online video seminars and video chats. Often, I have difficulty hearing other participants. With better audio on my laptop, I could learn a lot more! I’d love better audio for when I actually have time to listen to music - I’d be able to actually enjoy it !!! my current audio is terrible - would love the improvement! Im a subscriber too good sound would make watching movies on my computer so much better. great giveaway thank you. Having better audio would be a huge help because I give a lot of multimedia presentations on my laptop, and right now my speakers are weak and tinny. It would definitely improve my standing at work and school to have state of the art audio! I like to listen to music while I work, so this would be awesome!